- Choose your inquiry type - Shipping Questions Order Questions Payment Questions Product Questions Wholesale Distributors International Distribution Pickup Order from Facility Newsletter, Blog or Facebook Affiliate Program Information Recipes Contact Company Owner Other If inquiring about the status, shipment, tracking or payment of your order, please provide your Order ID#. If unknown, please provide your ship to name, address and order date. If inquiring about your previous order, placing a new order or a special order, please provide as much detail as possible so we can assist you. For previous orders please provide your Order ID#. If unknown, please provide your ship to name, address and order date. If inquiring about order payment, please provide your Order ID#. If unknown, please provide your ship to name, address and order date along with your payment details. If inquiring about an LC-Product, please provide as much information as possible so we can assist you, including if the product is a baking mix or a flour blend. If inquiring about becoming a wholesale distributor with LC-Foods, we are happy to talk with you about this program. If inquiring about International distribution, we desire to support a wholesale distributor relationship in each country worldwide. 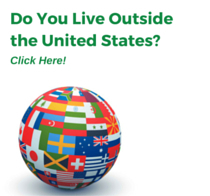 We ship FOB from Raleigh, NC, USA and are happy to talk with you about this program.